The production and sale of oil by the Maduro regime in Venezuela have slumped dramatically since the United States imposed its latest round of sanctions on the country’s vital oil industry. 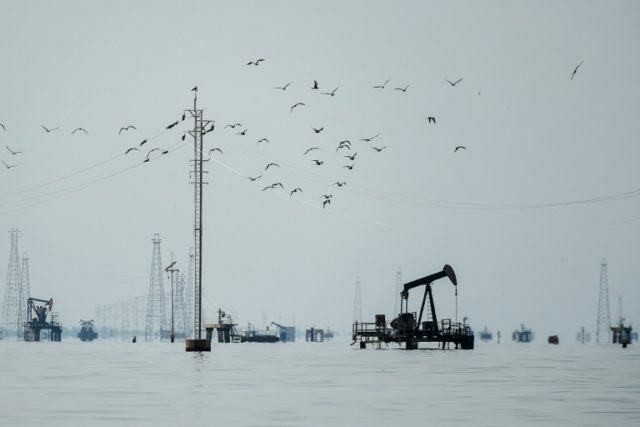 According to the Wall Street Journal, the country’s oil storage capacity is quickly reaching its limit as the regime remains unable to sell the crude shipments that represent the regime’s principal source of income. Last month, the Trump administration imposed sanctions on the state-owned oil company Petroleum of Venezuela (PDSVA), blocking all purchases of Venezuelan oil by American companies and freezing the assets of the state-owned company in the United States. The move followed Maduro’s violent crackdown on pro-democracy dissidents after the nation’s legislature inaugurated Juan Guaidó as the country’s legitimate president, recognized by democratic countries all over the world. “The path to sanctions relief for PDVSA is through the expeditious transfer of control to the Interim President or a subsequent, democratically elected government,” Treasury Secretary Steve Munchin said after announcing the measures. As well as falling revenues, the company is also experiencing a drastic fall in oil production. Thousands of employees have quit the company over depressed wages and unfavorable conditions. There are also chronic shortages of necessary materials required to extract the oil quickly and safely, thus delaying shipments to major clients including Russia’s PAO Lukoil, Spain’s Repsol SA, and U.S. oil giant Chevron Corp.
PDSVA chief Manuel Quevedo, a Maduro loyalist and former military general appointed to the role in 2017, said this weekend that the company would now demand advance payment for oil shipments. He also confirmed that the company would look for new buyers from clients further afield. When late dictator Hugo Chávez came to power in 1998, the country’s oil production was around 3.2 million barrels a day which, as a result of high oil prices, allowed him to fund lavish government spending sprees that eventually led to the dire economic and humanitarian crisis. According to recent estimates, Venezuela’s overall oil production is now under one million barrels a day, with the regime required to import 300,000 barrels of oil a day just to ease domestic fuel shortages.